Pierre Hermé was trained in some of the best of the classic pastry kitchens of Europe, starting out as an apprentice to Gaston Lenôtre at the very young age of 14. Hermé has steadily built on those traditions over the years and nowadays he is mostly known for his big bold flavors and complex compositions. If you just glance at his cookbooks, especially the luscious The Patisserie of Pierre Hermé, you can see he is famous for his unending search for bright and contrasting textures and tastes and the beauty of his creations. 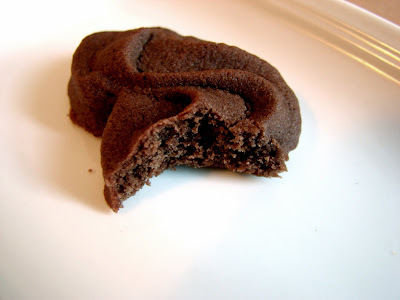 So I was somewhat bowled over by the utter simplicity and delicacy of his recipe for Viennese Chocolate Sablés. To be sure, he learned the beauty of this lovely cookie while in service to Wittamer, the venerable Viennese pastry shop known for its dressed up mousse-laden sponge cakes, Bavarian creams and glimmering tarts. In his cookbook devoted entirely to the subject of chocolate, Hermé has added cocoa to the classic Wittamer recipe. Not a dose of heavy chocolate on the palate, it is instead a full sensation of dark earthy cocoa and the unmistakable power of butter transformed into an ultra delicate burst of fine crumbs in your mouth. A feather-light drift of snowy confectioner’s sugar adds to the velvety texture but allows the butter and cocoa to shine, an homage to the purity and simplicity of quality ingredients. Be careful. These don’t survive any last minute packing for the road. But they are inordinately easy to consume on the premises. 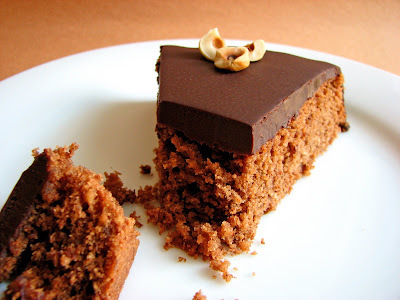 - If you can find Valrhona cocoa powder, it’s put to its best use in a recipe like this one. - Hermé pipes these in the classic “W” of Wittamer's. (I used Ateco #9825.) You can pipe your own design of course - just be sure to make them approximately the same size. - I baked mine for 10 minutes. They won’t be hard and should not take on any color on the top or bottom. They’ll set up fairly quickly as soon as they are out of the oven. - Hermé suggests dusting them with confectioner’s sugar. I don’t think they need it, but you may find it desirable. - These will keep for up to a week packed delicately in a cookie tin. I think they are better the next day. 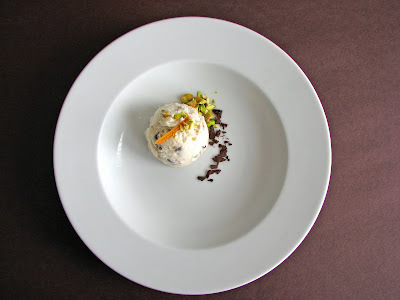 - I’ve included the metric weights, preferable for a recipe such as this. Fit a pastry bag with a medium open star pastry tip. Whisk the very soft butter until light and creamy. Add the sugar and salt and whisk until fully incorporated. Whisk in the flour and cocoa in three additions, stirring only until just incorporated. Do not overmix. Spoon about half of the dough into the pastry bag and pipe cookies that are about 2” x 1 1/4”, spacing them 1” apart on the baking sheet. Repeat with remaining dough. Bake for 10 to 12 minutes until they are just set but are not hard or browned. In the annals of cookie baking, we all have our guarded favorites. Some of them are passed down through our grandmothers or aunties. Others are clipped from glossy magazines and stacked among yellowed newspaper clippings of years gone by. Some are tasted in distant and faraway foreign bakeries where we resolve to recreate them in our own kitchens, chewing slowly as we mentally calibrate the ratios of ingredients that might someday produce the right texture and unique flavor we hold in our memories. I can’t say that I remember where or when I tasted my first Lebkuchen Cookie, but it was love at first bite. It struck all of the favorite notes on my palate and for me, it is of the essence of this season. 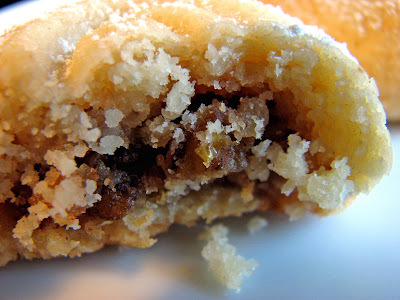 Deeply rich with spices, nuts, citrus and honey, cloaked in a veil of chocolate and crowned with a light glaze, these are among my very favorite cookies. Since these delicious cookies are quite cakey in texture, this year I thought I’d see if I could make a Lebkuchen Cake. I think the Lebkuchen first baked by Medieval monks in the 13th century began as a cake, so I'm not too far off the mark. It does translate very well and comes together pretty quickly when you’d like a festive treat but perhaps don’t have the time to form, bake and decorate dozens of cookies. With all of these wonderful old world winter ingredients, this cake definitely brings the holiday spirit into sharp focus. - Since kuchen means “cake,” it’s a bit redundant to call this a Lebkuchen Cake, but I’m not sure how else to refer to it! 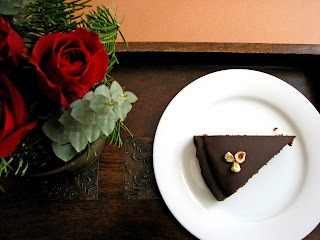 - This cake is not exceedingly rich, so would be a nice ending to any meal. - The citrus element is really central. 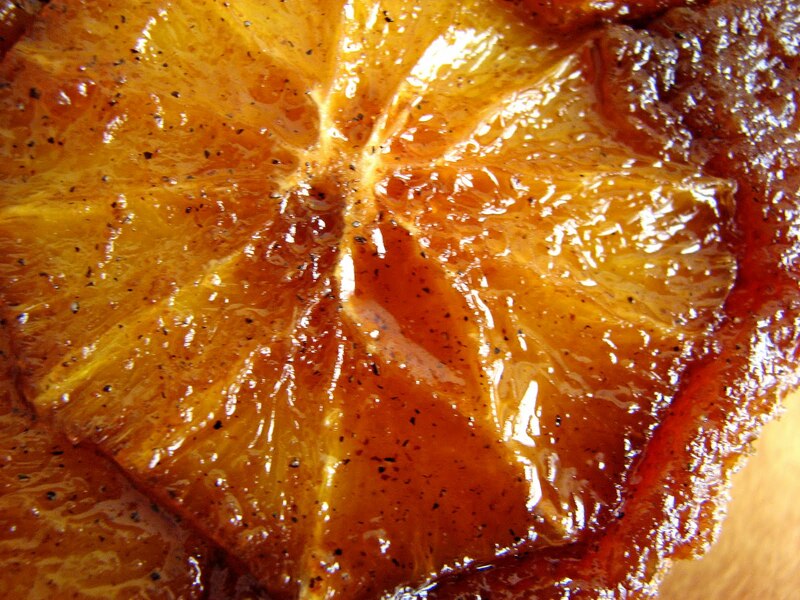 If you don’t have any candied orange and lemon peel, try adding zest. - When blending the cream and chocolate for the glaze, let the mixture sit for two or three minutes before stirring so it has a chance to begin to melt the chocolate. Then stir slowly to prevent the mixture from cooling down too fast so you're not left with any lumps. 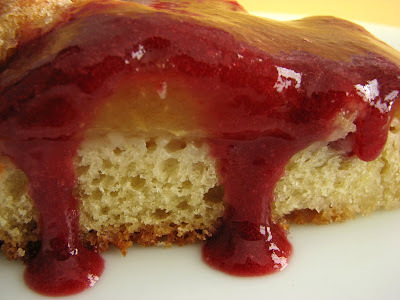 - If you aren’t comfortable with glazing a cake, make more glaze than needed to be sure you can generously flood the cake. Use 1 C heavy cream, 8 oz chopped chocolate and 1 T honey or corn syrup. The extra can be retrieved from the parchment, rewarmed and used for dipping cookies or chilled and rolled into truffles. Place the flour, almonds, hazelnuts, baking powder, baking soda, salt and spices in a food processor. Process a couple of minutes until the nuts are very finely ground into the flour. Pour into a bowl. Beat the butter until smooth. Add the sugar and cream the mixture on medium speed until pale, light and very fluffy, about 4 to 5 minutes. Add eggs one at a time, mixing thoroughly before adding the next and scraping down the bowl after each addition. Add the honey, cognac, orange and lemon peel. Using a large rubber spatula, fold in the nut flour by hand in three batches, mixing just enough to moisten and blend. The batter will be quite thick. Scrape into the prepared cake pan and smooth out the top. Bake in the center of the oven for about 26 – 28 minutes or until a toothpick comes out clean. Cool on a wire rack for 10 minutes. Run a thin blade knife around the cake to loosen and invert. Flip the cake back over to right side up and cool completely. To glaze the cake, place the cooled cake on a an 8" cardboard round or removable tart pan bottom. Return the cake to the cooling rack and place over a baking sheet lined with parchment. Chop the chocolate into very small pieces and place in a medium bowl. Bring cream and honey or corn syrup to a boil, stirring to dissolve. Pour over chocolate and let stand a couple of minutes. Whisk slowly and gently starting in the middle and then working outward in concentric circles until completely combined. Glaze the cake, pouring quickly in the center and around the edges. Tap the baking sheet on the work surface to encourage the glaze to run down the sides if necessary. Just as it begins to dry, run a small spatula around the underside of the cake to smooth the bottom edge and prevent “feet” from forming. Let glaze dry before serving. 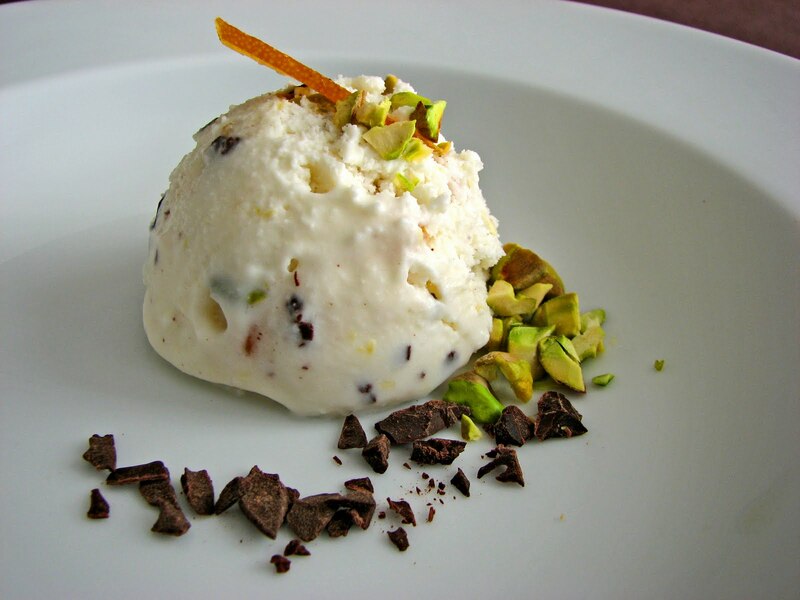 I know we are all knee deep in cookie making, but if you are beginning to feel like you might want a fantastically delicious and soothing detour, I’d suggest making this quick and easy Fresh Ricotta Ice Cream. This unusual recipe comes from Mary Canales, the owner of Ici, a fabulous little ice cream shop in the Elmwood District of Berkeley where all the products are hand made from organic ingredients. Prior to opening her business, she spent several years as the Pastry Chef at Chez Panisse, which is where I was very lucky to have met her. If you’ve ever had the supreme pleasure of eating ice cream at Chez Panisse, you know it’s some of the very best. Pure fresh ingredients and delicious lush flavors, it's everything ice cream is supposed to be. If you have never dined at Chez Panisse, you must do so someday. The food, ambiance, kitchen and wait staff are unlike any other restaurant I’ve ever known. And of course, be sure to make a stop at Ici. This is a very unique ice cream. There are no eggs and no cooking since the base is not a custard. It’s very light and tastes purely of fresh ricotta. The texture is a bit flaky, which makes this a fun new sensation in ice cream. The few bits of pistachio, chocolate and candied orange peel are wonderful if you choose to add them. Yes, it’s a lot like having an incredibly fresh, cool bite of cannoli, something that’s often very hard to find outside of Italian neighborhoods. Magnifico. If you have a few spare moments, I strongly urge you to make the recipe I've included for fresh ricotta. It really takes no time at all and the product is so superior to anything you could ever buy at the market. Honestly, the sensation of quality is immediate. Once you taste the difference, you may never go back to spending good money for very mediocre ricotta. - To fully enjoy the best of homemade ricotta, it should be used immediately but it will keep in the refrigerator for 2 days. - You will need cheesecloth to make fresh ricotta, which you can find at most grocers and hardware stores. - If you don’t make your own ricotta, look for a good brand. Mary uses half Bellwether Farms ricotta (coarse and tangy) and half Calabro ricotta (smooth and sweet). - Strega is an Italian liqueur originating in the mid 1800s. It’s made from approximately 70 different herbs and spices and often used as a digestive elixir. Saffron accounts for its bright yellow color. I used rum in this version. 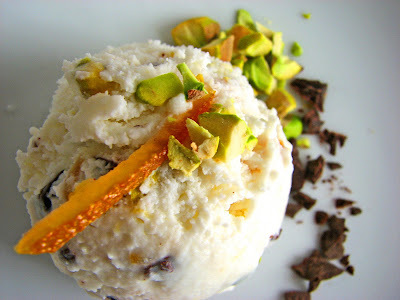 - If you don’t have chocolate, candied orange or pistachios on hand, the ice cream is very good on its own. I can also imagine it with fresh blackberry or raspberry coulis in summer. Or toasted almonds and honey or a very light caramel. Or a compote of quince or figs! Place fresh ricotta, sugar, vanilla, lemon zest and salt in a food processor and blend until smooth. Add cream and blend. Taste for the important balance of salt. Add Strega or rum to taste. Refrigerate until completely chilled. Freeze in an ice cream machine. Add the chopped pistachios, orange peel and chocolate at the end. Transfer the ice cream to a freezer container, top with a piece of plastic wrap pressed into the surface and freeze until firm. Line a colander with a double layer of cheesecloth and place it in your sink. Over moderate heat in a large 6-quart pot, slowly bring milk, cream and salt to a rolling boil, stirring occasionally to prevent scorching. When it reaches a boil, add the lemon juice, then reduce heat to low. Stirring constantly, simmer until the mixture curdles, about 2 minutes. Carefully and slowly pour the mixture into the cheesecloth-lined colander and let it drain for 1 hour. Discard the liquid. Cover and chill the ricotta. As you might guess, there’s a new baby in our family. My nephew and his wife have a beautiful little girl who is now 3 months old. Her name is Eliana and she has our entire family very excited to be fussing over her at every opportunity. It’s funny how a new baby will transform everyone in their midst. I discovered these little cookie gems browsing through Food & Wine and instantly knew I had to make them. I revised the recipe to add a tiny pinch of salt and freshly grated nutmeg since it seems like the season for nutmeg. I also changed the preparation method and baked them at 325 degrees instead of the stated 350 for the same amount of time. Sometimes the simplest things are the best and these cookies prove this point beyond any measure. They are incredibly simple and delicious. Pure, tiny, delicate, impossibly tender, perfectly sweet and absolutely irresistible, just like our new little girl. I can’t wait to make these cookies with her some day! - I used a truffle scoop to form the cookies. I chilled the dough for a couple of hours before scooping to firm it up. I also chilled the cookies before baking. 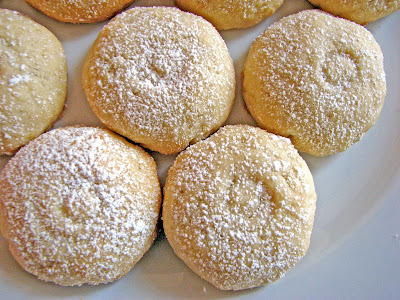 - These cookies will keep for about a week in an airtight container. Stack them between pieces of parchment or wax paper. I must warn that this will be highly unnecessary. These cookies will disappear as soon as they’re plated. Sift together the flour, cornstarch, confectioner’s sugar, salt and nutmeg and pour it into the bowl of a food processor. Add the butter and vanilla and process until a very soft dough begins to form. Divide the dough into four equal pieces, wrap in plastic and chill for 2 hours. Use a piece of parchment to roll each piece of dough into a 12” rope. Cut each rope into 12 pieces and roll each piece into a ball. Place the cookies on a parchment or silpat lined baking sheet. You can fit 24 on each sheet as they do not spread. Bake on the center rack of the oven for about 20 minutes, rotating the pan halfway through. The bottoms should be golden but the tops should not take on any color. Cool. Sift 1 cup of confectioners’ sugar into a bowl. Toss a few cookies at a time to coat and place on a baking sheet. Sift a bit more confectioner’s sugar over all the cookies for a final coating. Use a sharp toothpick or a skewer to poke 4 shallow holes in each cookie. The most reassuring and reliable ray of sunshine to visit us during the winter months is an abundance of fresh citrus fruit. The season of citrus includes the well known navel oranges and Valencias, so terrific for juicing. But there is an entire family of splendid citrus, such as blood oranges, mandarins, clementines (seedless mandarins), tangerines (a type of mandarin), pixies (a type of tangerine), tangelos (a hybrid of tangerine, grapefruit and orange), Minneolas (tangerine and grapefruit) and kumquats. So very many wonderful varieties to explore and enjoy. When it comes to the pastry kitchen, orange desserts can range from the sublime, like the elegant Crêpes Suzette, to the very rustic and simple, such as the decidedly delicious Oranges with Rosemary Sabayon. But no matter which citrus pastries you choose to create, they are invariably full of bright satisfying flavor. 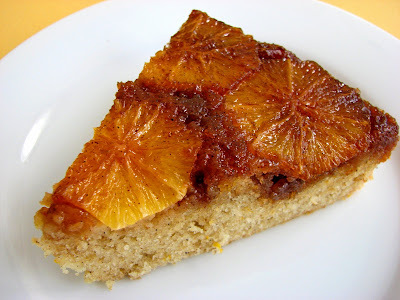 I’ve been meaning to make this cake for quite a while and when I got my email newsletter from David Lebovitz talking about this as one of his season’s favorite desserts, I looked at the oranges on my table and decided to get to it now. The result is a supremely tender cake with a very distinct fragrance of cardamom. This is a really great way to experience those juicy oranges so plentiful now in our markets. As your cake sits cooling, your kitchen will hold the aroma until the last guest arrives. - I wish I’d had a fourth orange on hand. I would have liked a few more slices. - Use a very sharp knife when peeling and slicing the oranges to avoid tearing the flesh. Be sure to remove all the pith when slicing off the peel. 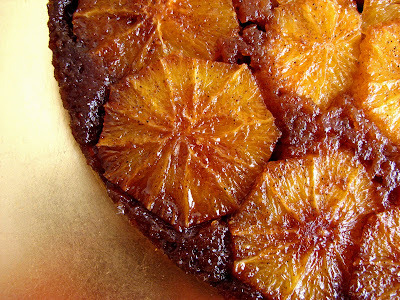 - I think this cake would be incredible with blood oranges. - The cake is nicely garnished with vanilla ice cream or some whipped cream scented with a splash of vanilla or orange liqueur. - David recommends a 10” skillet for baking. I used a 10” springform pan. It was done in about 32 minutes. Melt the butter in a 10-inch cast iron skillet and stir in the brown sugar and 1/2 teaspoon of cardamom until smooth. Remove from the heat and press the mixture evenly on the base of the pan. Allow to set. Overlap the orange slices in concentric circles over the topping in the bottom of the cake pan. Whisk together the flour, salt, baking powder, and 1 1/2 teaspoons of ground cardamom. Combine the milk, vanilla and orange zest. Cream the butter and sugar until light and fluffy. Add the eggs one at a time. Stir in half of the dry ingredients until nearly combined, then add the milk and mix. Add the remaining dry ingredients and beat just until combined, being careful not to overmix. Gently spread the batter over the oranges and bake for 40 minutes or until a toothpick inserted comes out clean. Cool the cake at least 15 minutes. Invert onto a serving platter. Light, airy, cool, refreshing – a bit like a stroll down the broad La Rambla. 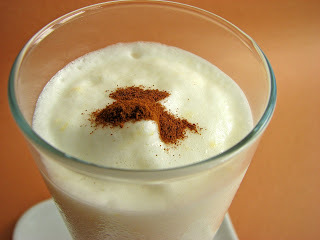 Leche Merengada is part ice milk, part granita and part slushy meringue drink. Originally coming from the shores of Valencia, it's enjoyed in many other locales. It’s one of the easiest glaces you can make, ready in time for a super light end to a delicious Spanish table of your favorite tapas. Marrying the magical flavors of vanilla, lemon and cinnamon takes just a few moments on the stove and then an overnight in the refrigerator. Then you freeze it until it starts to get slushy and fold in some meringue. Freeze a bit longer and listo! Simple and delicious. 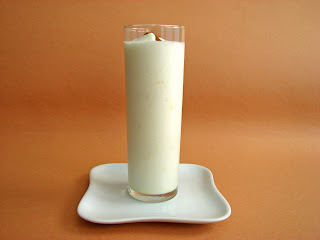 - This dessert is sometimes taken as a drink and sometimes as a slushy granita. You can freeze the mixture according to your own whim. - These ingredient ratios are intended to balance flavors in an optimum way for a simple and subtle combination. - You can also churn the base in your ice-cream freezer after the base has been chilled and the meringue has been folded in but it will take longer - about a half hour or so until it sets up like a sherbet. 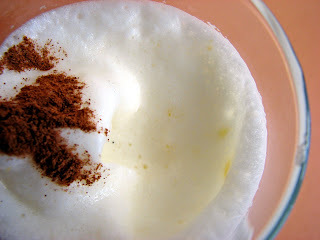 - This is a great way to use up those leftover egg whites! I have to confess I discovered Chaussons aux Pommes not along the romantic boulevards of Paris, but in the steamy production kitchen of a French boulangerie-patisserie in northern California. In the inner sanctum of a French bakery, there are the three departments of patisserie (pastry), viennoiserie (laminated doughs) and boulangerie (bread). I always marveled at the work of all three – the ballet of the master bread baker and his loyal crew flying through the air in clouds of flour; the pastry kitchen humming at 150 mph with the efficiency of a European bullet train - but the Viennoisier always seemed the most zen. Every human move in a bakery or fine dining restaurant is excruciatingly efficient. Everyone has their well orchestrated rhythms but there is also the daily dealing with the unexpected. Maybe the deliveries are late, maybe the oven is cranky, maybe there is an overnight special order from a prominent client. The Viennoisier worked fast but not furiously and the fruits of his labor were astonishing. He was the best. The products of the quiet universe of viennoiserie are croissants, pain au chocolat, pain aux raisins and the prayer that is brioche. These are always the most delicate and yet the most reliable of pastries in the distinctly French tradition. I love the way pastries from all cultural traditions have such curious names. Chausson means "slipper." 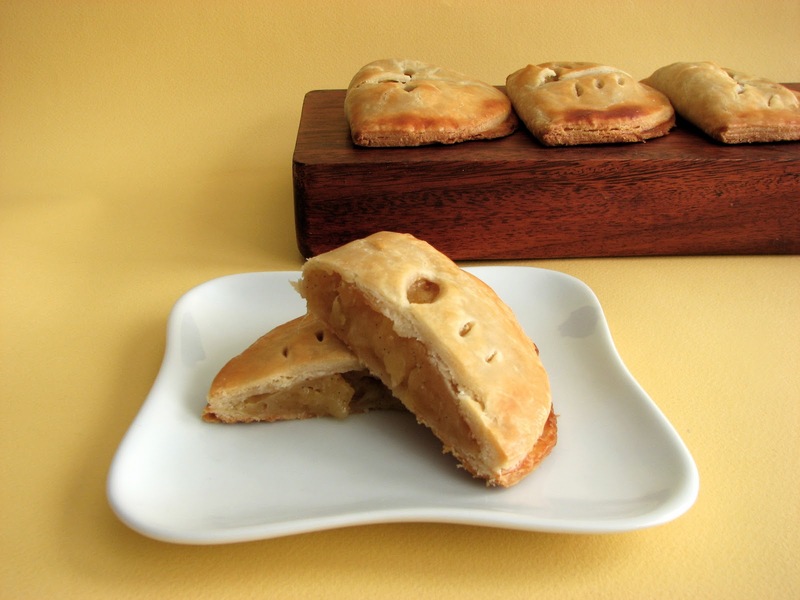 Chausson aux Pommes, or apple slipper, is a buttery flaky pastry enveloping an only slightly sweet and smoothly soft compote of apple. The contrast between crunchy rich goodness and the simple velvety pureness of fruit is part of what makes this pastry so sublime. 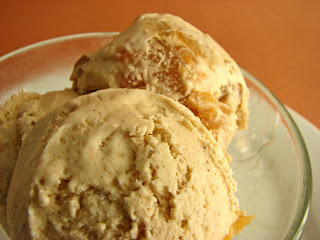 The version I fell in love with was filled with a thick apple puree full of robust flavor and only a whisper of sugar. It was supremely delicious and my memory of it is the stuff of dreams. The pastry is of course puff pastry, the specialty of the Viennoisier. Hard to argue with an occasional bite of buttery shards of flakiness that fill your mouth with an unending sensation of pleasure. But incredibly rich and laborious to produce, I rarely have fresh puff pastry on hand. Since I was in need of a quick but still luxurious substitute, I turned to Dorie Greenspan’s flaky Turnover dough. In a rare fit of irreverence, I decided to see if I could still produce even a mild memory to bring to the table. So these are actually Faux Chaussons Aux Pommes. Not exactly as buttery or flaky, but delicious in their own right on a California afternoon. - The apple compote can be made in varying textures. Here I kept some of it a bit chunky, although I think I still favor a smoother puree. 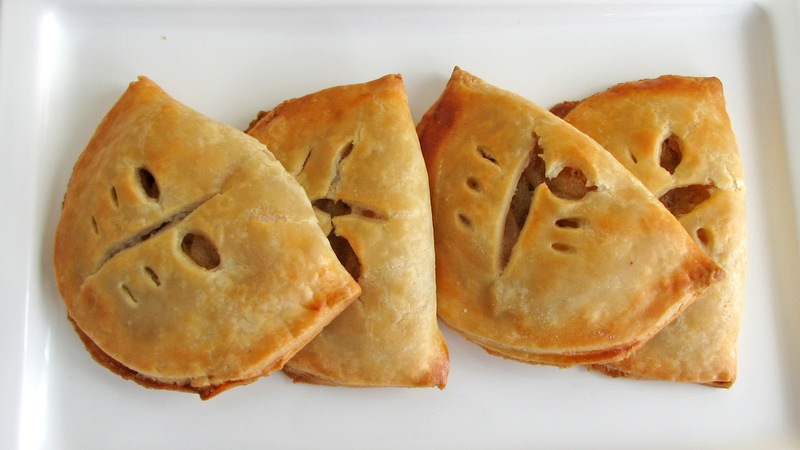 - Each of these components can be made and refrigerated overnight. - I decided to try out Dorie Greenspan’s Turnover dough instead of my usual Sour Cream Pastry dough, which has an additional 2 oz butter, 2 egg yolks and half as much sugar. Dorie's dough is very delicious - light and crisp and slightly sweet. I’ll also have to try my version to see if it approximates puff in this application. - When rolling out the dough, pick it up after each roll to be sure it is not getting stuck to the work surface. If it's sticking, rather than trying to pull it up, use a bench scraper to gently pry it loose. Rotate the dough 90 degrees after each roll to ensure that it is getting rolled out evenly. - I admit that I am obsessive about chilling dough. Initially it is to give the gluten a chance to relax. As I begin to form the dough I chill it so it is easier to handle. Before baking I chill the pastries so they hold their form when baking. It's definitely an obsession (most likely rooted in the fact that I have warm hands) and you are most welcome to work at your own comfort level. - To allow for varying oven efficiencies, check the pastries at 20 minutes. - As with any flaky pastry, these are best eaten the same day. Combine the sour cream and sugar. Add the butter pieces to the flour and salt with a pastry cutter or your fingertips and work it in until the mixture resembles coarse oatmeal. Add the sour cream/sugar mixture and gently mix with a fork or your hands. The dough should come together into a ball. Do not overmix or overwork the dough. Divide the dough in half, flatten each half into a disk, wrap and refrigerate for about an hour. After it has chilled, remove one package of the dough and let it sit for a couple of minutes at room temperature. Flour a piece of parchment and roll the dough out on the parchment into a rectangle shape about 1/4” thick. Brush off excess flour with a clean pastry brush. Fold the dough in thirds (like a letter), again brushing off excess flour. Wrap and refrigerate for 1 to 2 hours. Repeat with the other package of dough. When the dough has been chilled, roll out each piece of dough on a piece of lightly floured parchment to an 1/8” thickness. Brush off excess flour. Cut out 8 equal pieces of dough in the desired shape of your pastries and place them on a baking sheet lined with parchment, layering them with parchment as needed. Chill for about an hour. Place the lemon juice and lemon zest in a bowl big enough to hold the apples. Peel, core and slice the apples and toss them in the lemon juice and zest. Melt the butter is a large skillet and add the apples. Scrape the half vanilla bean into the apples, cover and cook over medium low heat for about 20 minutes until the apples are tender, stirring occasionally. Remove the cover and add the sugar. Cook, stirring continuously until the liquid has evaporated and the mixture is thickened. Remove from heat and mash or puree as desired. Set aside to cool completely. When ready to assemble, make an egg wash by whisking 1 egg with about a tablespoon of water to thin it out. Line a cookie sheet with parchment. 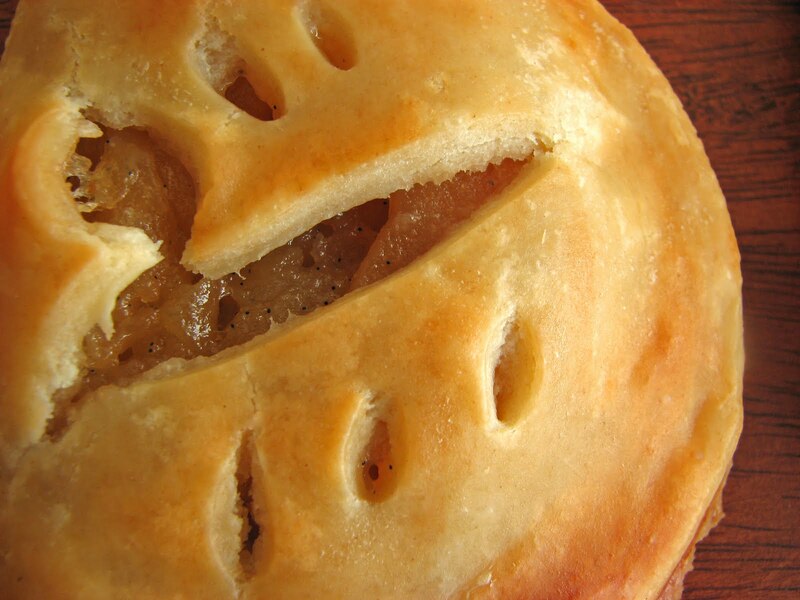 Place a heaping tablespoon of apple compote on half of a piece of pastry. Brush the edges with the egg wash, fold the dough over the compote and seal. Place each completed pastry on the parchment-lined cookie sheet. When all 8 pastries have been formed, refrigerate for about an hour. Preheat the oven to 375 degrees. Place an oven rack in the top third of the oven and a rack in the lower third of the oven. Remove pastries and brush each surface with egg wash. Take a very sharp knife and create a few slashes to form vents. Bake the turnovers on the top rack for 10 minutes, then rotate the cookie sheet from front to back and move to the bottom rack. Continue baking for another 10 – 15 minutes until they are nicely browned and crisp. One of autumn’s perfect treats is roasted pears. 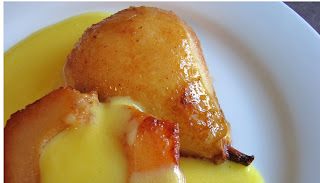 Delicious on their own, you can also fancify pears with a dessert sauce. Beautiful pears of every variety are coming into the markets and it’s time to enjoy their juicy goodness. 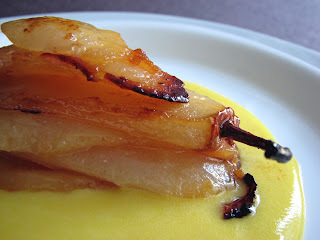 This time out I’ve paired some roasted bosc pears with a sabayon that has a tinge of herbal flavor. 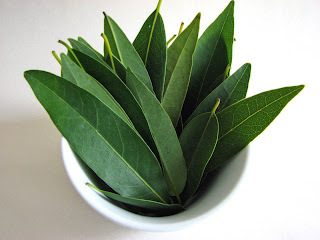 Fresh bay leaves have a smell and a taste that lend a mysterious spiciness to desserts. They add just a breath of autumn, enough to place this dish squarely in the realm of earthly simplicity. - Baking time for the pears will vary depending on how ripe the fruit is. The pears are done when they are easily pierced with a knife. - Bosc pears are best for roasting. They hold their shape and roasting concentrates their flavor perfectly. I also tried Comice, widely considered to be the queen of pears, but they were not as flavorful. I think they're best enjoyed eaten fresh and unadorned. - Use a wine that isn't too assertive, such as a mild Sauvignon Blanc or an aromatic Viognier. Peel and core the pears. 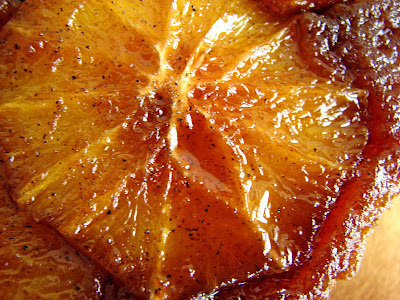 Cut into 1/4” slices and gently toss in lemon juice. Place in a baking dish and sprinkle with sugar and dot with butter. Put a couple of tablespoons of water in the bottom of the dish. Bake pears for 25 to 30 minutes, basting and turning every 10 minutes to brown evenly. Add a bit of water to the baking dish as necessary. 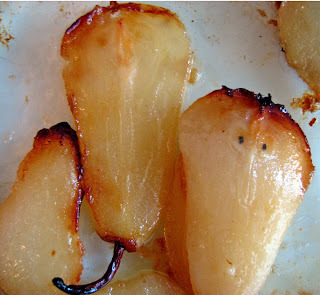 Cool roasted pears. Whisk egg yolks, sugar, wine and bay leaf syrup in a stainless steel bowl. Place the bowl over a pot of simmering water, making sure that the bowl is not touching the water. Check periodically to see that the water is not boiling. Whisk constantly for 4 to 5 minutes, including the bottom and sides of the bowl. Cook until the mixture is thickened and expanded in volume. If you have a thermometer, you’re shooting for about 160 degrees. Remove from heat and continue whisking for a bit. Set aside to cool. Chop bay leaves into 1/2” pieces. Bring water and sugar to a boil. Turn down the heat and add chopped bay leaves. Simmer about a minute or so. Cover and remove from heat and let steep for 3 hours. Strain and store in the refrigerator in a clean, airtight container. There are some culinary pleasures we just never forget. A few years ago I had the distinct enjoyment of tasting an incredible cookie called Ma'amoul. I’d never heard of this pastry before and it was so delicious I knew I had to learn more about it. We’ve all experienced how powerful food sense memories can be and this is one of mine. 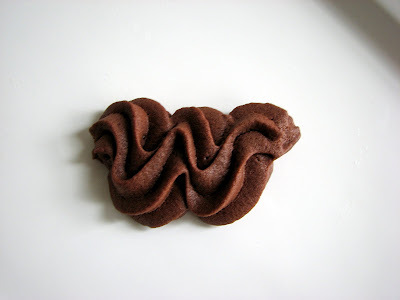 There was something so simple yet so different about this cookie. 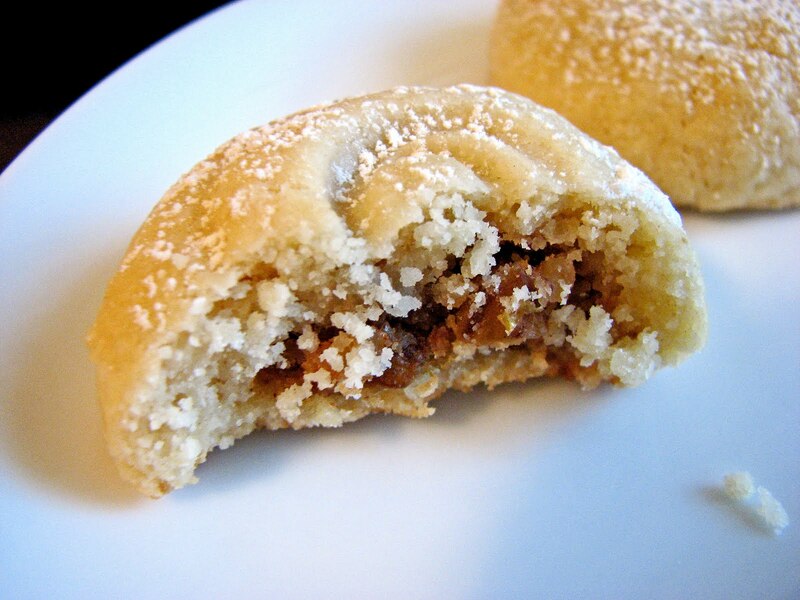 As I researched lots of different recipes, I learned that it’s basically a combination of a very tender and crumbly cookie stuffed with chopped walnuts, a hint of spice and the exotic perfume of orange blossom water. It’s also commonly filled simply with dates or pistachios and rose water. Some versions of this cookie dough include semolina. 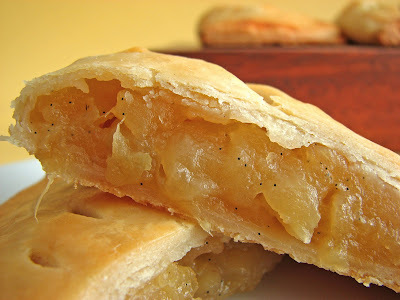 I’ll be experimenting soon with that, too, as I love the texture it brings to pastry doughs. The discovery of how to extract essential oil from flowers was made some time around the 10th century. Today hydrosols for culinary use are common. Orange blossom water is distilled from the fragrant blossoms of Seville oranges. If you use flower waters sparingly, they offer a hint of intrigue. As you have probably guessed from the ingredients, Ma'amoul is a cookie that originated in the Middle East, specifically Syria and Lebanon. 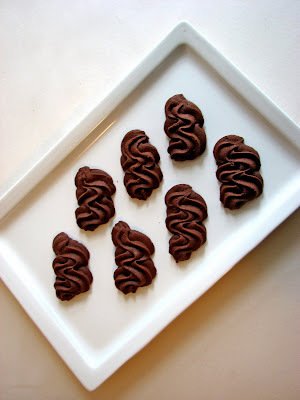 These little bundles of deliciousness are ordinarily shaped in a decorative wooden mold. I shaped mine by hand. If you have a favorite cookie stamp, you may want to use it here. My riff on Ma'amoul starts with a recipe for a dough from Nick Malgieri that I altered with sugar, vanilla and salt. Then I worked from my sense memory of that Ma'amoul from all those years ago. If you love walnuts and the lightness of a tender melt-in-your mouth texture, this cookie is incredibly simple and unusually irresistible. - This dough is very easy to work with. Even as it warms, it still has great flexibility. - I use a small ice cream scoop #40 (the #40 refers to 40 scoops per quart) to portion the dough. This makes the job very quick and easy. - Since cinnamon and orange blossom water quality varies, taste the filling for flavor adjustments. Place flour, sugar and salt in the bowl of a food processor and mix. Add butter and pulse until the butter is in pieces the size of small grain rice. Combine milk and vanilla and add to the flour butter mixture. Pulse just until the mixture starts to clump. Remove and place the dough on a piece of plastic wrap. Pull it together to finish blending and smoothing out. Pat it into a circle about 1” thick, wrap and refrigerate to rest for a couple of hours or overnight. Place the walnuts, sugar, cinnamon and orange zest in the bowl of a processor and pulse just a few times to chop the walnuts into smallish pieces. Don’t over process. You want small pieces but not paste. Pour into a bowl and add orange flower water. Stir to combine. Taste for flavor adjustments. Remove the dough from the refrigerator and let come to room temperature. 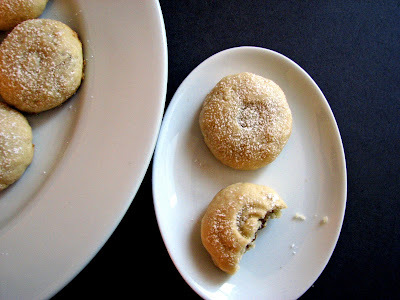 To shape the Ma'amoul, portion the dough into 18 pieces and shape each into a ball. Take each portion and push your thumb in to form a cup for the filling. Continue to press it out with your thumbs to form a somewhat flattened pocket. Place about a good half-teaspoon of filling in the center. Gather the ends and press them together to seal the cookie. Roll gently in your palms to even out the shape and place seam side down on a parchment lined tray. Press the top of the cookie gently to flatten slightly. Decorate with the tines of a fork or a decorative stamp if you wish. Wrap with plastic and refrigerate until completely chilled. Place 12 cookies on a cookie sheet lined with parchment or a silpat. Bake for about 20 to 25 minutes. The cookies should not take on any color but the bottoms will brown a bit. Cool on a wire rack. 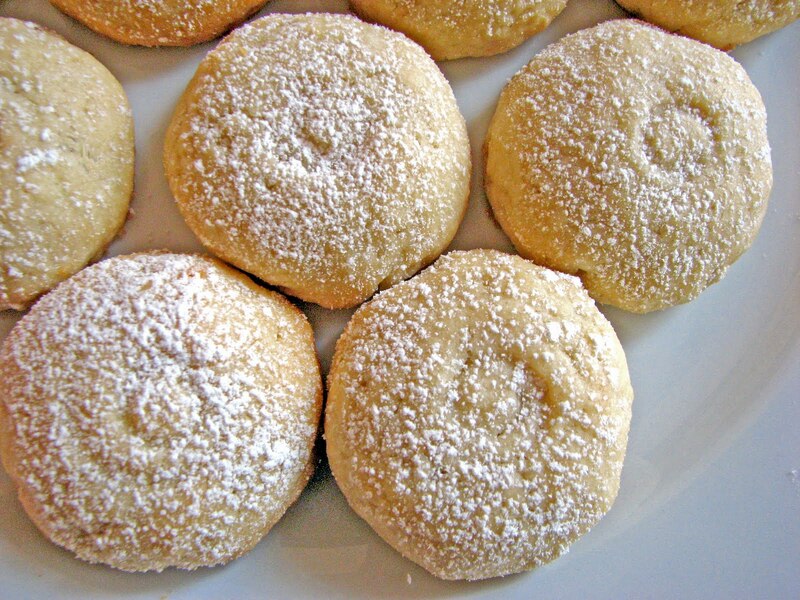 Dust lightly with powdered sugar and savor with your favorite spot of tea. Absolutely nothing says autumn like apples. Quintessential fall menus always include various versions of apple pie, apple crisp, apple tarts, apple streudel, tarte tatin. These are the most comforting desserts imaginable and we never ever tire of them. It’s not until the holidays come around that we’re even tempted by anything else. Today I thought I’d have a little fun with the idea of a delicious apple crisp. 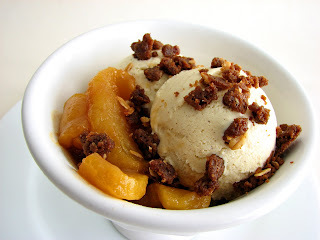 I decided to put together an ice cream swirled with apples and top it with a crisp streusel. 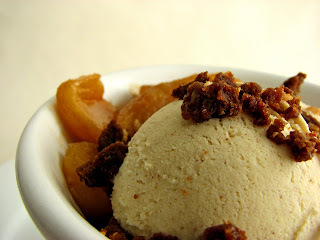 This combines the creamy texture of luxurious cinnamon ice cream, the soul-soothing bite of caramelized apples and the chewy crunch of baked streusel all packed into one fabulous bowl. Wowie. This is a very fun twist on our favorite slice of Americana. I think you’ll be very glad that apples are now proudly center stage. - This can be made over two days. 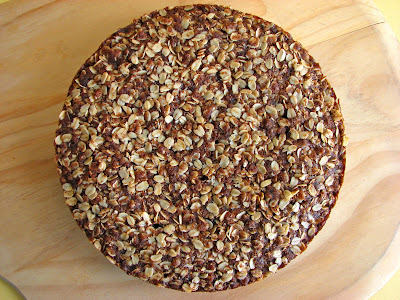 Bake the streusel on day one and store in an airtight container. Make the ice cream base and chill overnight. On day two, sauté the apples, spin the ice cream and assemble. - I added a tiny bit of oatmeal to the streusel because I’m on an oatmeal jag. I also love sliced almonds or pecans. Do your thing. - Always be careful when working with caramel. It’s very hot and a tiny splash on your skin will hurt. Use a long-handled spoon to stir and stand back when adding liquids, especially if they are not at room temperature. Once the caramel is the right color, quickly add the butter, cream, water and apples to stop the cooking. This is all done off the heat. Return to the heat to finish cooking the apples. - You may want to add a splash of rum or brandy to the apples that get added to the ice cream to keep them from getting too icy. - There will be a little bit of leftover caramel sauce that has a wonderful apple flavor. I like to add a tiny splash of apple cider vinegar or rice wine vinegar to brighten it. It will keep refrigerated for a while. - I used ground Vietnamese Cassia cinnamon, which is far more aromatic and stronger than regular Korintje Cassia cinnamon. Taste your base to see if it has the right strength. Warm the milk, cream and sugar with the both kinds of cinnamon. Do not let the mixture boil. Turn off the heat and steep the spices for about 15 minutes or until you have the right flavor, tasting as you go. Whisk eggs yolks and add some of the warm milk to temper, stirring constantly. Pour into the remaining milk, whisk and return to low heat. Cook, stirring constantly, until the custard coats the back of a spoon and a finger traced through it leaves a clean track. Strain immediately into a clean container. Cool and chill thoroughly. If you want a stronger cinnamon flavor, leave the cinnamon stick in the custard. Remove cinnamon stick and freeze according to your machine’s directions. Fold in the chopped apples. Pour into a clean container, press a piece of plastic wrap over the surface and place in your freezer to firm up. Peel and core apples. Cut into 1/4” slices and set aside. Bring sugar and water to a boil and cook until it reaches a medium amber color. Take it off the heat and let it get a bit darker on its own. When it takes on a deeper amber color, add the butter then slowly add the cream. Stand back as it may sputter. Sprinkle with a good pinch of salt. Swirl the pan to combine the ingredients. Add 2 tablespoons of water to loosen the mixture. Add the apples and swirl the pan to coat them. Return to low heat and cover. Simmer for about 10 minutes until the apple slices are tender. Take off the heat. Remove the apples from the caramel and split into two portions. Set aside one portion and cut the remaining apple slices into bite-size pieces. Store the remaining caramel sauce for another use. Beat the butter with spatula until creamy. Blend in each ingredient. Cover and refrigerate 1 hour. Break up into pieces, spread on parchment and bake at 325 degrees for ten minutes. 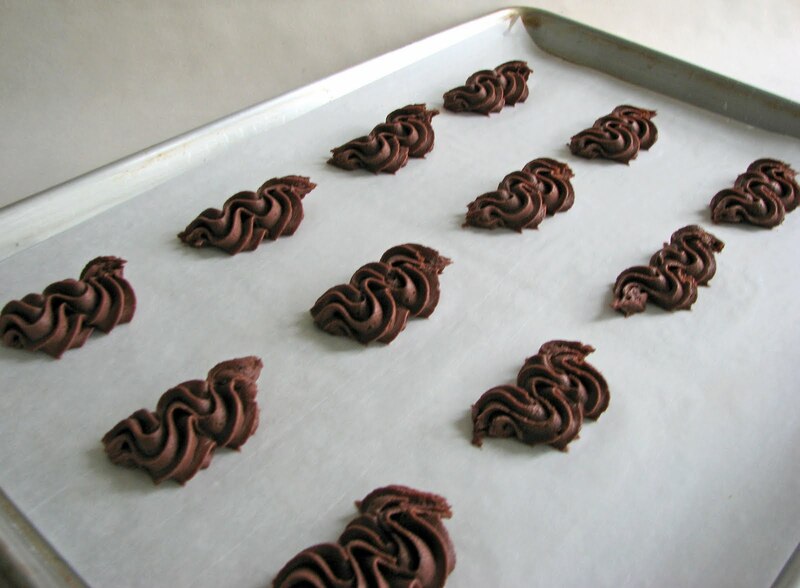 Stir and break up pieces and continue baking 5 – 10 minutes until well browned. Cool. Warm the apple slices just a bit. 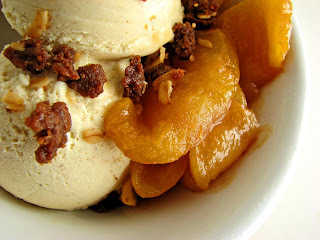 Place a couple of scoops of ice cream in a bowl and garnish with apples and streusel. Ah, autumn. 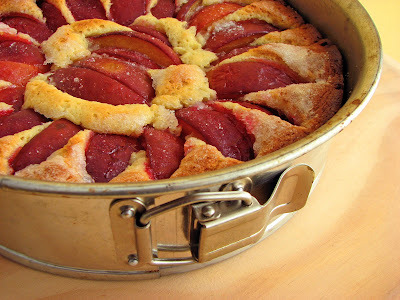 Continuing along in my plum reverie, I stumbled upon another delicious recipe from Ripe for Dessert by David Lebovitz. We can see the fruit of the season narrowing but it’s still easy to find a few varieties of plums. And I think this is a great way to use them right at the moment. Now I know some of you may feel some trepidation about working with yeast. It can seem like it has its own life. And it does. But it can also be easily mastered. You'll see that this recipe sets out to prove just that. And honestly, everybody has their weak spot. Some people resist working with chocolate or doughs or making a cake. I used to fear the caramel until I had to make it every day for months when I worked for a chef who used versions of it as a backnote in many desserts. It was astonishing what he could do with it. So just a couple burns and botched batches later, I slowly learned to understand how it works and it has become one of my favorite flavorings that can be used in multiple ways. Just keep your eyes and ears and nose open and you can figure out just about anything in the pastry world. So this tart dough comes together with the snap of a finger. No scary temperature testing or wish-making. Just throw everything together and about 3 minutes later you’re done. Give it two hours to rise, layer some fruit and give it 30 minutes. Bake it and voila! 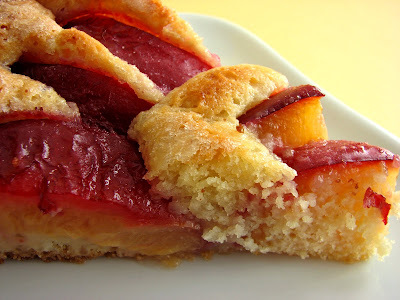 A delicious little tart that is brimming with exactly the right amount of yeast, butter, vanilla, sugar, salt and of course blessed fruit. Snap! - This dough is very wet and sticky. If you have a pastry scraper, use it to scrape the dough into the prepared pan. Or a rubber spatula will work just fine. - When it comes to finishing the tart, 1/4 C of sugar seems like an ungodly amount. But it does seem to be needed to sweeten the fruit just right. 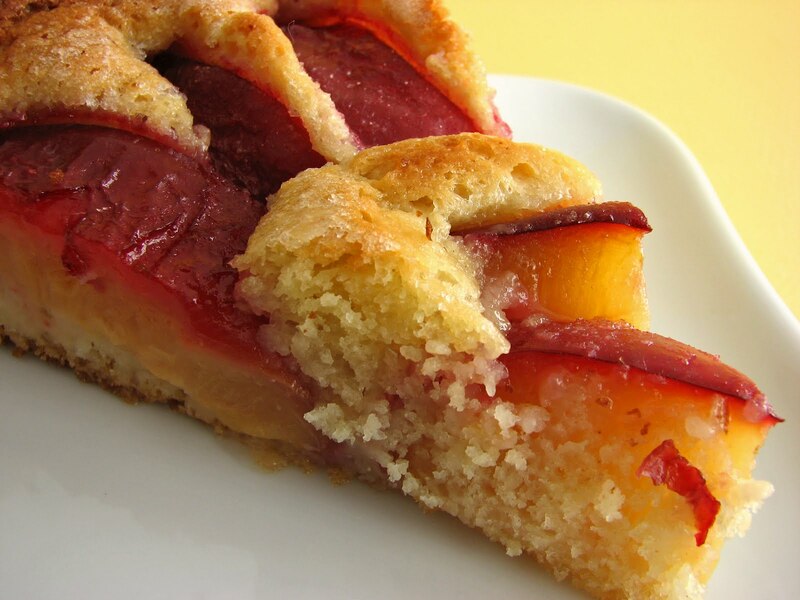 - The tart is great with or without the sauce. If you make it, use a good fruity wine such as Zinfandel. - The tart will keep for a couple of days. - There are a number of ways to improvise on this. Use your imagination. Generously butter a 9 1/2” springform pan. Stir together the milk and the yeast in a mixer bowl and then add in the 1/4 C sugar, eggs and vanilla. Using the paddle attachment to finish the mixing, add in the flour and salt and mix for one minute. Add butter and continue beating for another minute. Gather the dough into the prepared pan. Cover with plastic wrap and place in a warm space to rise for 2 hours. Dampen your hands a bit and gently press down on the dough, spreading to cover the bottom of the pan evenly. Arrange the plum slices in a decorative way over the dough, leaving a 1/2” border all around the edges. Press the plums down firmly. Sprinkle a generous 1/4 C sugar over the entire surface and let the tart stand for 30 minutes. Preheat your oven to 350 degrees. Bake the tart for 40 minutes or until the tart is lightly browned and the center feels slightly firm to the touch. Bring the wine, plums and 1/4 C sugar to a simmer. Cook on low heat until plums are tender. Cool the mixture and puree. Serve a slice of the warm tart with a generous helping of sauce. 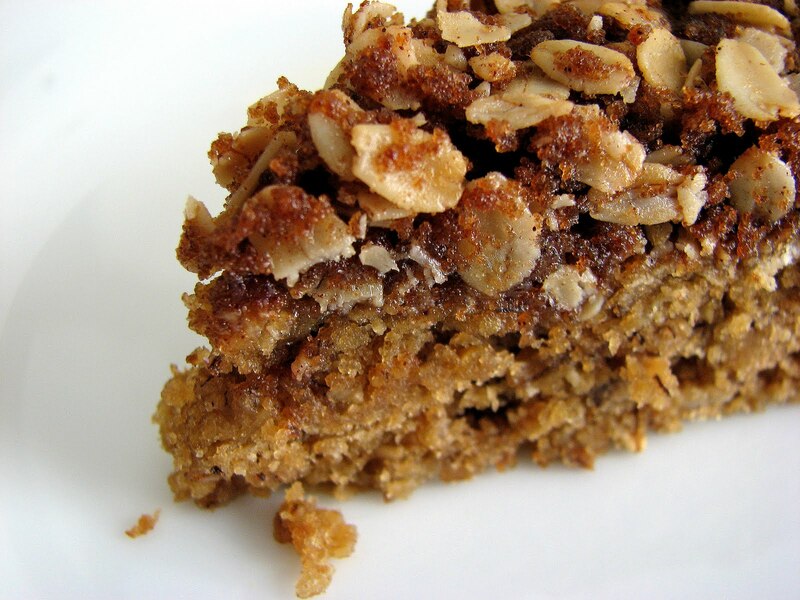 For those who love bananas and for those who love oatmeal, which is pretty much all of us, here is a snack cake that combines the best of both worlds. If you’re on your way to a brunch and you need a pastry that’s fresh and not too rich, this might be just the thing. Or if you are yearning for something to go with a nice cup of tea on a rainy afternoon, this will do the trick. Only slightly sweet with a dense texture and a nice chewy bite, this cake will seem familiar enough to give you a satisfying indulgence without feeling like a terrible vice has been committed. But honestly, there's nothing old-fashioned bananas and oatmeal can't cure. - Banana is the central flavor, so the bananas have to be very, very ripe. They should smell like bananas and look pretty gooey. 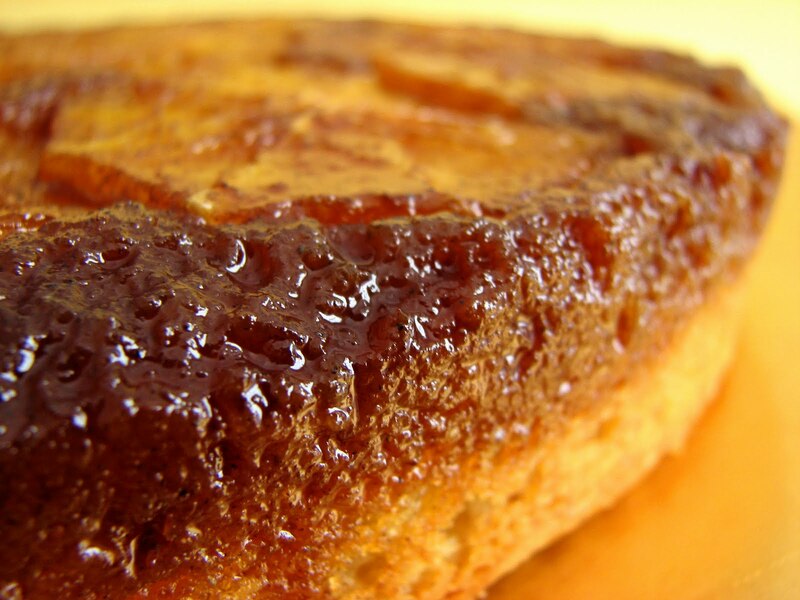 Ripe bananas will add the right levels of flavor, sugar and moisture to the cake. - This cake will keep up to 3 days in an airtight container or sealed in plastic wrap. I think it tastes better the next day. 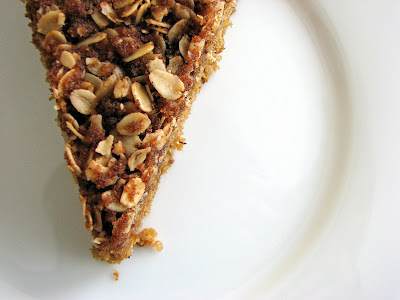 - Add pecans or walnuts to the topping if you'd like. 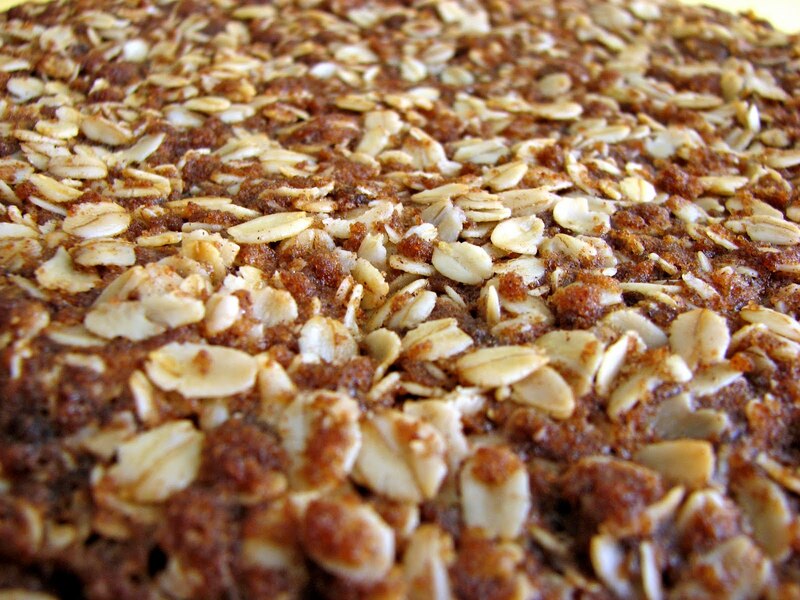 I’ve also used a combination of sunflower, sesame and flax seeds in place of nuts for a nice textural alternative. 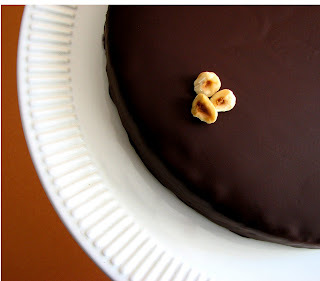 Prepare a 9” springform cake pan with butter and parchment. Whisk together dry ingredients for the topping. Add melted butter and stir with a fork until crumbly. Set aside. Whisk together flour, salt, baking soda and oats. Cream butter and sugar until light and fluffy. Scrape down the sides of the bowl. Add eggs one at a time, mixing thoroughly after each addition. Scrape down the bowl and add mashed banana and vanilla. Mix thoroughly. Stir in dry ingredients until just combined. Pour into prepared pan and smooth out evenly. Sprinkle topping over cake batter and press down gently. Bake for 30 to 35 minutes or until a toothpick inserted comes out moist but clean. Cool completely on a wire rack. Run a thin knife around the edge of the cake and remove cake pan ring. 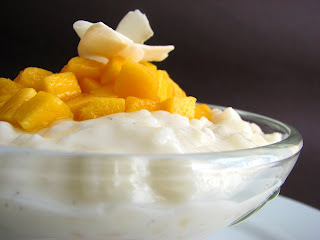 Coconut and mango always seem to evoke the warm sunshine and cool breezes of some faraway and exotic locale. You know, sort of like a vacation dream sequence filled with laughter and sunscreen. Well, now that we are firmly planted in the fall season, I thought maybe we should slip away for just a while to savor these great tropical flavors before the rain arrives. Rice is the centerpiece of so many diets around the world. 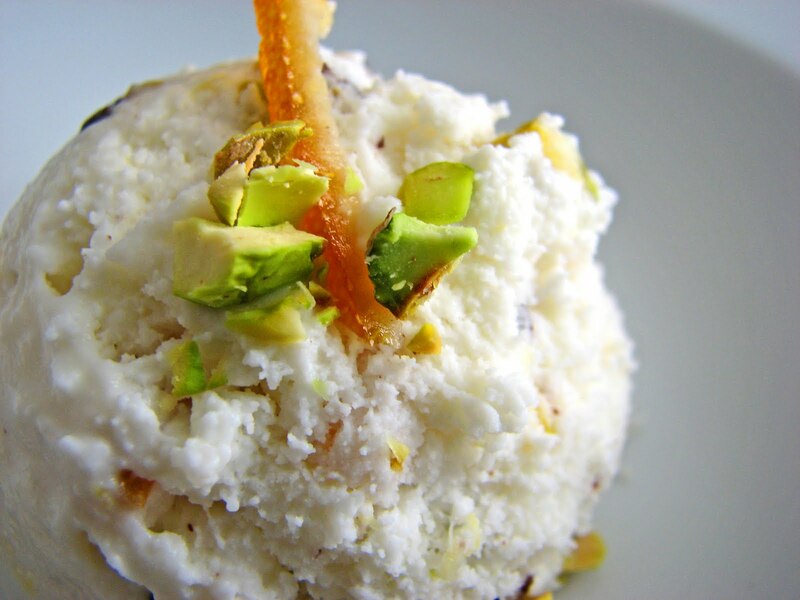 Rice desserts are also a mainstay in several cultures. I’ve talked about the beautiful Gâteau de Riz, which is a simple but delicious baked and caramelized variation on rice pudding, a kind of crème brulee of the rice family. Today I decided we should make a simple rice pudding that would serve as a postcard from our dreamy getaway. 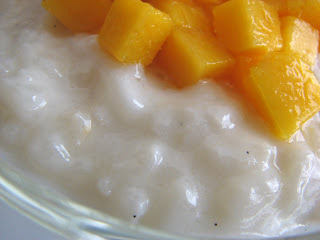 Rice pudding is a cinch to make. It just needs to cook slowly with occasional stirring. If you like coconut, this version will have you wondering if it shouldn't be among the more comforting coconut desserts found anywhere in this world. The creamy texture, light coconut flavor brightened by lime juice and the unmistakable sunburst of mango is truly satisfying. Enjoy it as we dust off our umbrellas and tumble quickly into October. 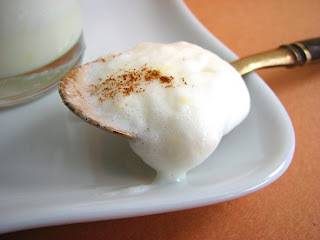 - This recipe calls for unsweetened coconut milk. I use the very reliable and widely available Thai Kitchen brand (regular, not lite). - Arborio rice is a white short grained rice grown in the Piedmont and Lombardy regions of northern Italy. 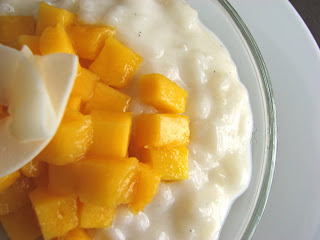 It is typically used for risotto, so the end result is a thick and very creamy pudding. - When the pudding has finished cooking, add the lime juice to taste and be sure to adjust the salt, which makes the whole dessert come together. - The pudding is best when served the same day. It can be refrigerated, but it will thicken considerably. Cover rice with hot water and let sit for 1 hour. Drain. Mix rice, coconut milk, salt, sugar and vanilla bean and bring to boil. 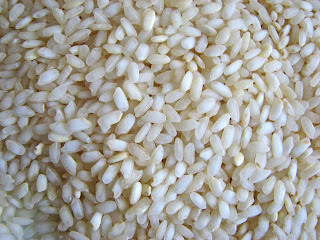 Simmer on low heat, stirring occasionally, for 1 - 1 1/2 hours or until mixture reaches desired thickness and rice is done. Add milk throughout last 1/2 hour of cooking and stir more frequently to prevent scorching as the pudding absorbs most of the liquid. Remove from heat and add lime juice to taste and adjust salt. Cool. Serve with fresh ripe mango tossed with any remaining lime juice.